The aftermath of Déjà Vu can result in the reconstruction of a memory from stored components in the brain. The brain recognizes the event leading to elaborations, distortions, and omissions. The brain drills deep to plan and rebuild that moment but the memory gets messy as pieces are missing. Similar to an unfinished construction site, the feeling of familiarity is incomplete. You’re left with nothing but method and madness to try to remember what you may have already forgotten. 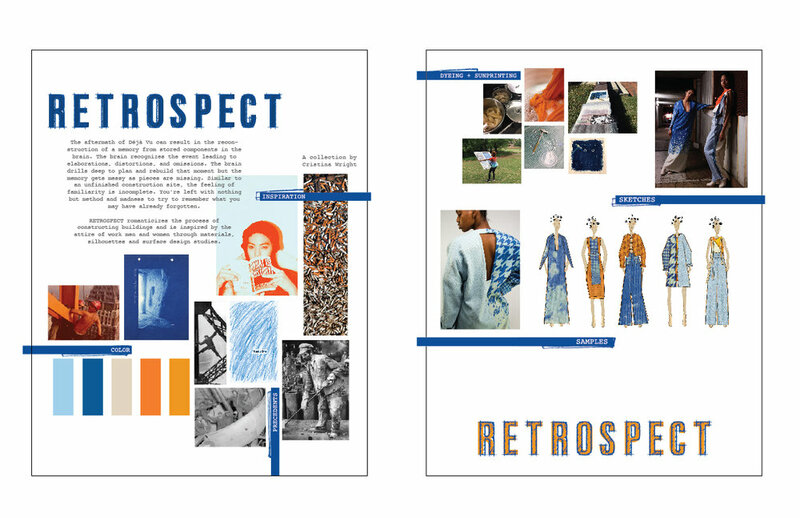 RETROSPECT romanticizes the process of constructing buildings and is inspired by the attire of work men and women through materials, silhouettes and surface design studies. 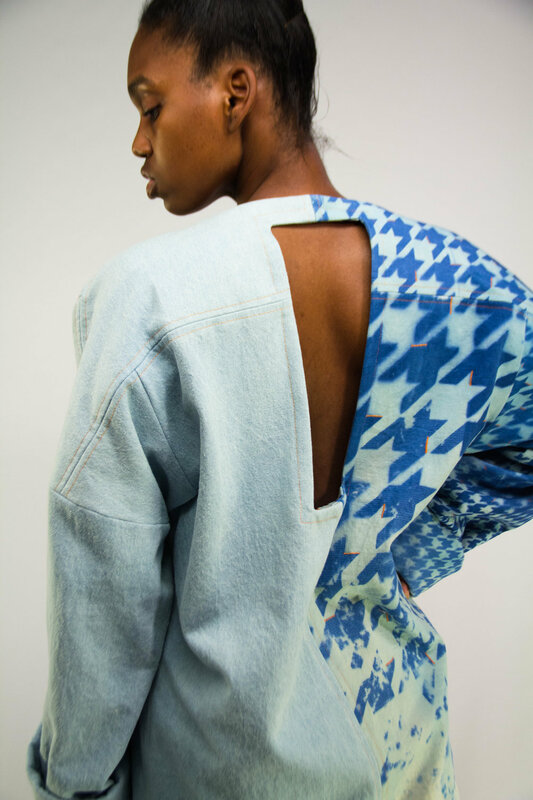 RETROSPECT is a combination of hand-dyed tangerine velvet, hand-dyed tangerine waffle weave cotton and a mixture of raw, light wash and cyanotype denim.